Data Skeptic produces this website and two podcasts. The show is hosted by Kyle Polich. 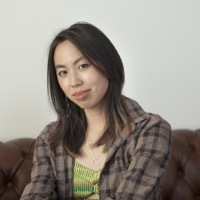 Linh Da Tran co-hosts our mini-episodes. 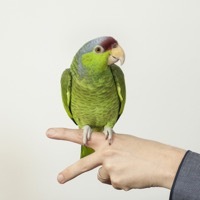 Yoshi is our official mascot and office bird. She is also the focus of numerous mini-episode discussions. Our primary output is the weekly podcast featuring short mini-episodes explaining high level concepts in data science, and longer interview segments with researchers and practitioners. 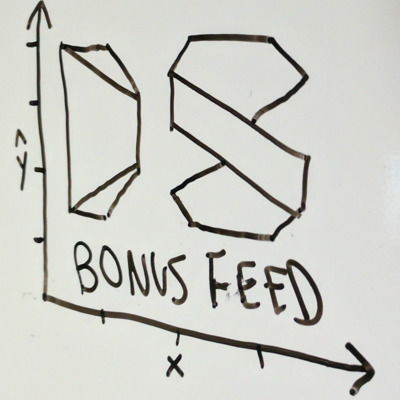 The bonus feed is extra and extended material if you just can't get enough Data Skeptic. 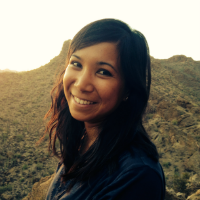 Originally from North Carolina, Linhda graduated undergrad from UNC-Chapel Hill (Tarheels!) and promptly moved to the Golden Coast when she heard of sunnier days, fewer mosquitos and a long coastline of beaches. When she is not on the podcast, she enjoys commuting to work via bike, spending time with Yoshi, cooking then eating, lots of sleep and occasional yoga and making small-batch artisan ice cream. Her short stature and below average bike size has deterred many a LA bike thieves-- evidence that it pay off to be short. 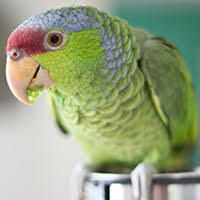 This Lilac-Crowned Amazon is mostly green all over with a patch if lilac and red on her forehead. Her vocabulary ranges from "I love you" to "you're a good girl, Yoshi!" Pastimes include enjoying a misty bath time on the front patio, chewing on pieces of wood, and making a mess by flinging her dinner everywhere. In addition to being a frequent background commentator, she also inspires many of the topics for our mini-episodes. Kristine is a fledgling science writer based in sunny Los Angeles, CA. Once a researcher in soil microbiology, Kristine is passionate about translating science into thrilling stories for all. She enjoys reading, the great outdoors, playing with logical systems, learning how stuff in the world works, and making things with metal. 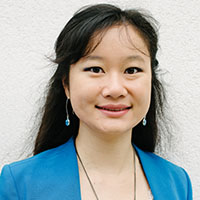 Christine Zhang is a freelance journalist and data analyst who loves stats, stories, spreadsheets, and sandwiches. 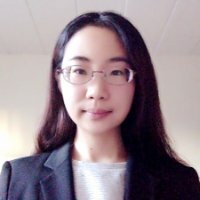 She was a 2016 OpenNews fellow at the Los Angeles Times Data Desk and has previously worked at the Brookings Institution in Washington, D.C.
Xiaofei Zheng received her a Ph.D. in Mathematics from Pennsylvania State University, where her research focused on probability theory. Prior to that, she obtained her Bachelor’s degree in Mathematics from Nankai University in Tianjin, China. Xiaofei is a data enthusiast and currently works as a data scientist at KPMG US. 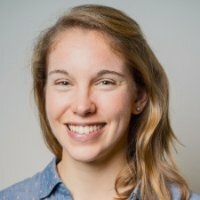 Megan Ray Nichols is a freelance science writer and the editor of Schooled By Science, a blog dedicated to making science understandable to those without a science degree. She is also a regular contributor to The Energy Collective, Datafloq and Vision Times. Subscribe to Schooled By Science for the latest news and follow Megan on Twitter. 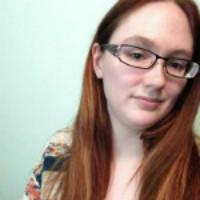 Amanda Dobbyn is a data scientist at the Chicago-based startup Earlybird Software. She holds a Bachelor’s from the University of Chicago and is currently is a member of the 2018 NASA Datanauts as well as a recipient of the 2018 rstudio::conf diversity scholarship. Her interests include network analyses, clustering, reproducible research, and ultimate frisbee. 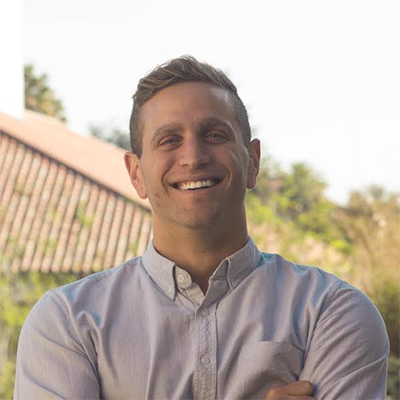 Grant Ognibene holds a Master's degree in Management Science and Engineering from Stanford University, where he was also a DFJ Entrepreneurial Fellow. Prior to that, he received his Bachelor's degree in chemistry from California State University, Fullerton. He is currently working to build <a href="https://www.halso.co">Halso</a>. 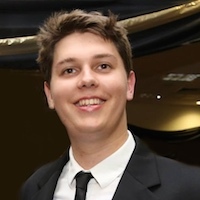 Jack Simpson is completing a PhD in computational biology at the Australian National University in 2017. 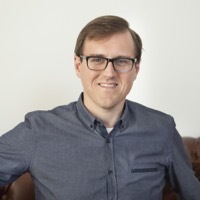 Over the course of his PhD, Jack has gained a keen interest in how machine learning can be used to solve problems in both research and industry. 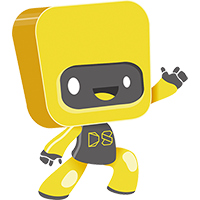 Jack is also passionate about science, programming and beekeeping. His personal blog can be found at jacksimpson.co. 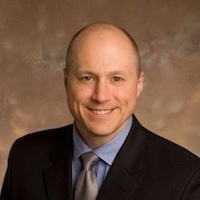 He also blogs about medical research on biosky.co. 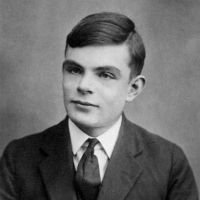 Alan Turing (23 June 1912 - 7 June 1954) was an English computer scientist, mathematician, logician, cryptanalyst, philosopher, and theoretical biologist.